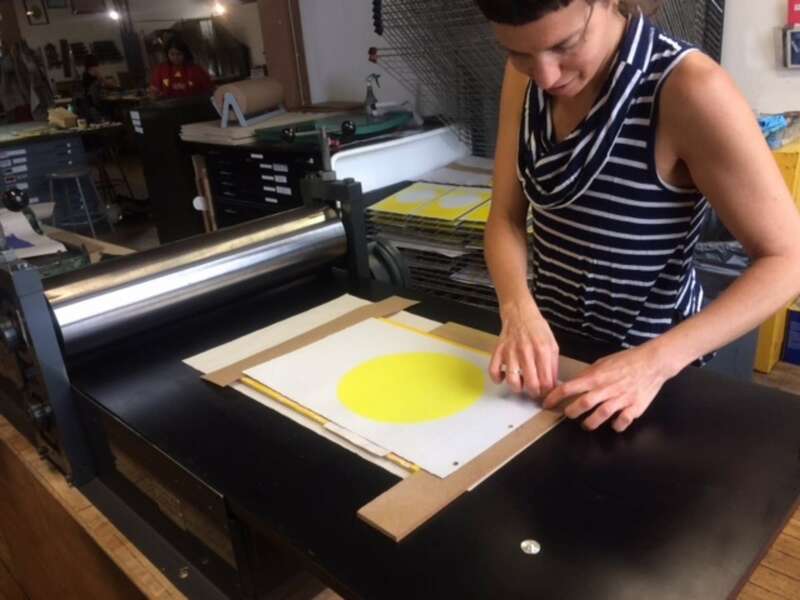 “By working with artists whom are not accustomed to printmaking, we are able to develop fresh and unique prints while providing the featured artists the opportunity to work with a master printer to produce new work otherwise beyond their means. We have truly enjoyed finding inventive ways to capture the essential elements of an artist's practice whose work is typically in media as disparate as photography, fiber arts, and installation,” said Angee Lennard, Founder and Director of Spudnik. This program is generously supported by collector Browne Goodwin, whom began his own collection by acquiring prints. “Prints are often very affordable, easy to store, and well-suited for hanging in a home - enabling more people to share the adventure of collecting the art of their time,” explained Goodwin. Prints may be purchased individually or as a collection packaged with a colophon and an archival portfolio. Prints are each 11x15" on archival cotton paper. Edition of 14. Prints will be available on CAC’s and Spudnik’s websites for a reduced price during the pre-sale, running September 6-26. After September 26, prints will be for sale at full price.